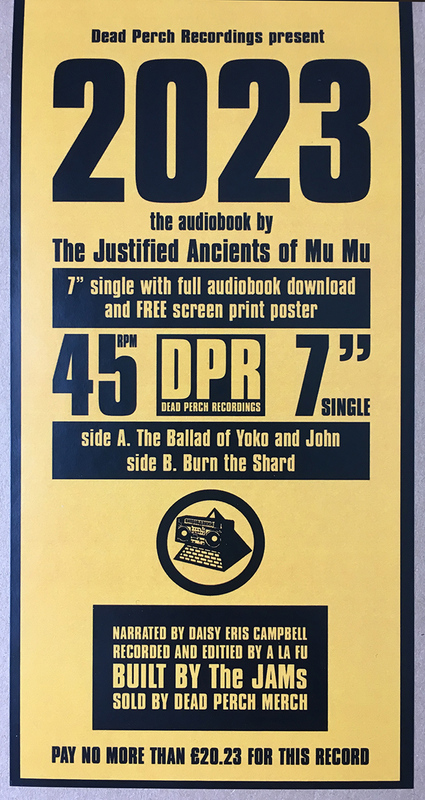 After many months of meticulous planning and impatience, Va Va Records are pleased to announce the first project recorded and edited at our new studio headquarters with would you adam and eve it, pop music’s greatest provocateurs Bill Drummond and Jimmy Cauty, aka The Jams, aka The KLF, aka The Timelords (to name but a few handles). Our man A La Fu has been working with Bill Drummond on a handful of projects over the past few years and after being asked to perform at the closing of Drummonds 'The 25 Paintings' exhibition they even duetted together with a version of ‘Will You Love Me Tomorrow?’ by The Shirelles, naturally. As you may know Cauty and Drummond have completed their 23 year moratorium this year and returned as The Justified Ancients Of Mu Mu. 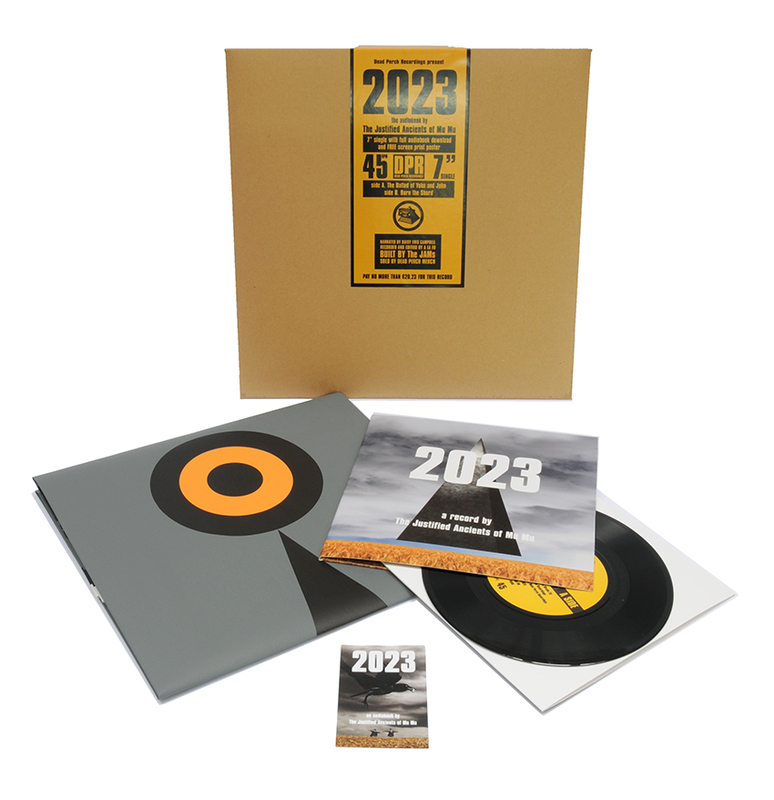 To celebrate they have written a book titled ‘2023’, a trilogy described by the governors as a “utopian costume drama, set in the near future, written in the recent past”. It is the audio version of the book that has been recorded and edited by A La Fu and narrated by Daisy Campbell in the brand new Cauty christened, Studio 23.